I graduated as a nurse in 1979 from West Middlesex Hospital. On moving back to Scotland I worked as an agency nurse for about a year in a range of care settings. 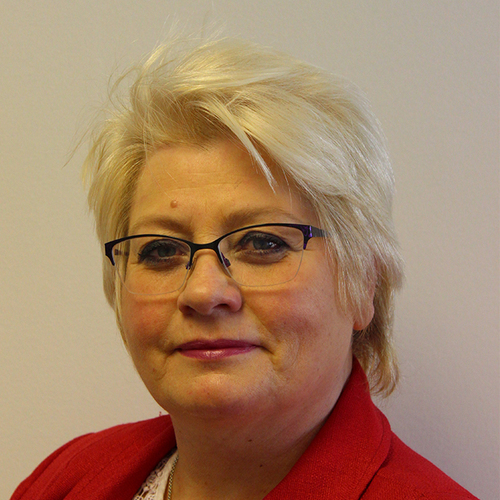 I am passionate about the care sector and this has enabled me to have a varied career as a nurse and manager of care services across the education, public, and private sectors, including a registered charity. I've developed and designed care services which led to managing my own care business for a 12 year period. I was invited to be a honorary trustee for a charity and I am an active Rotary Club member. I began working with H1 Healthcare approximately three years ago as a freelance trainer. I then took the opportunity to join the team permanently in a newly created role of Learning and Development Manager. As part of my duties I look at the quality and development of the training offered to our staff and external clients. More recently I have combined my existing role with that of the Nurse Manager, ensuring that all our staff are supported clinically and offered development opportunities throughout their time with H1 Healthcare. I can't name a "Hero" per se but I would have loved to meet James Cagney. Not only do I love his black and white films but he was a man of many talents and also very educated. Not many people knew that he was an actor, painter, and dancer. He even bred horses. I wouldn't be the person to take the mic but you may find me fulfilling the role of backing signer doing the "shoo-wops" or more often than not on the dance floor. I would choose to wash the dishes. I don't like to spend time on chores and washing the dishes allows you to see results straight away. The mother side of me would give most of the money to my daughter. The Margaret Rose side of me would book a scuba diving holiday to Chuuk Lagoon in Japan. This area housed a major Japanese military base during the Second World War and has numerous sunken ships and submarines to explore. All of my scuba diving holidays have been wonderful for different reasons. During a holiday in Bermuda I was able to dive on the Mary Celeste Shipwreck and buy a bottle of original perfume recovered from the ship. I'd take a varied record collection of which Andrea Bocelli needs to be a part of it. Finally, I'd take a wine making distillery to keep me going.